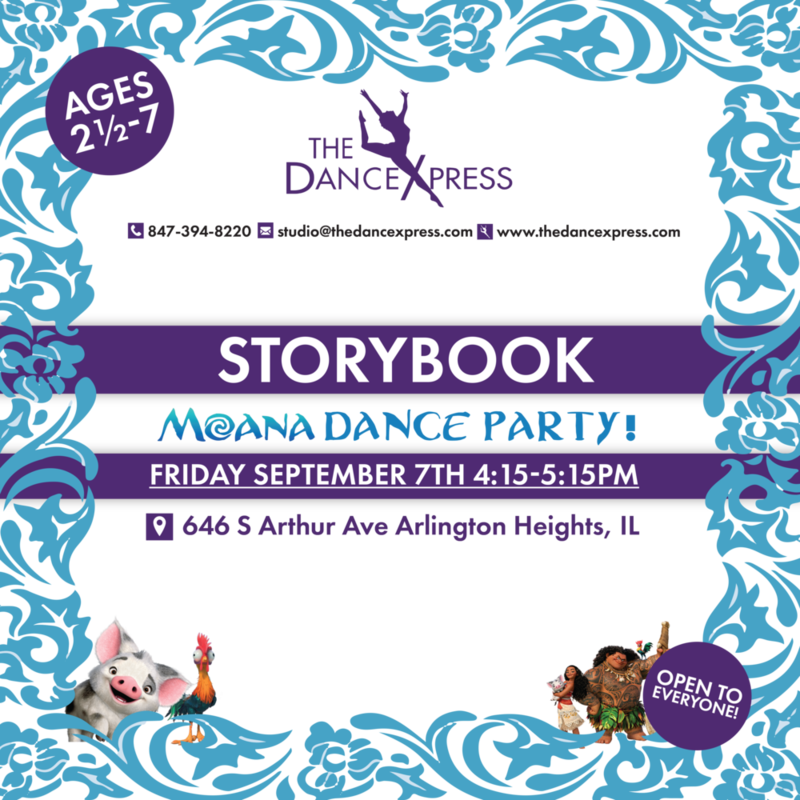 Kickoff this dance season with us at our Storybook Moana Dance Party on September 7th! For ages 2 1/2-7 our Storybook Moana Dance Party will feature interactive storytelling along with dress up and a treat bag. You don't have to be signed up for classes to come and enjoy our Storybook Moana Dance Party!